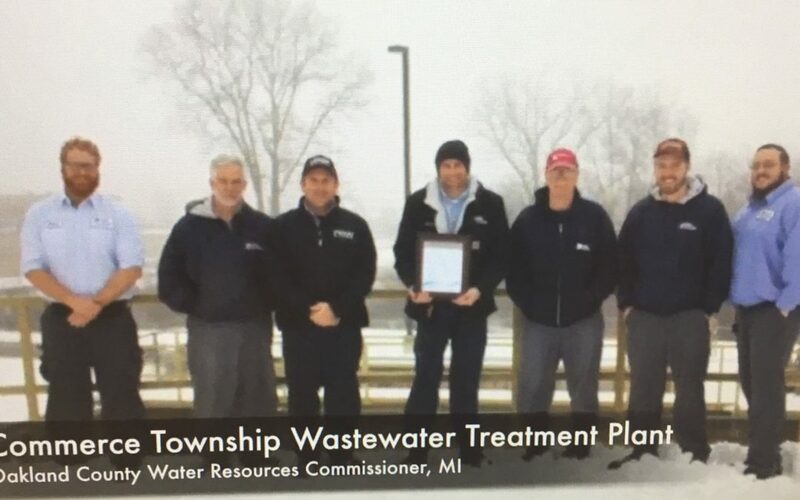 The Commerce Township Wastewater Treatment Plant (WWTP) has earned the National Association of Clean Water Agencies (NACWA) Platinum 13 Award for perfect 100% compliance to clean water standards for 13 consecutive years. The Oakland County Water Resources Commissioner’s Office (OCWRC) operates the Commerce Township water and sanitary sewer systems including the WWTP. Greg Knauf is the WWTP Supervisor who is in charge of the plant operations. Greg and the Oakland County WRC staff take great pride in keeping the plant operating efficiently and staying in compliance.